With his current exhibition, our former interviewee, Daidō Moriyama, spans the arc of his career and demonstrates his innovative and instinctive approach to constructing images. 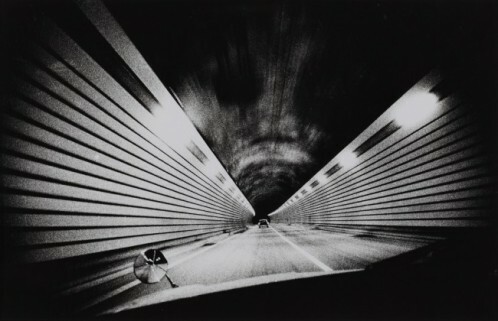 Since the mid 1960s, Moriyama has used a camera to package the world around him. His optics evince the complicated interplay of beauty, depravity, menace and desire in the cultural landscape of Japan during the decades following World War II. His archive of photography is one of the most dense accounts of the tensions produced by the transition from war into an economically integrated, technologically advanced culture. The sudden and rapid synthesis of Japanese and American cultural practices produced strange urban landscapes populated with uncanny characters. Moriyama’s photographs are often absurd and libidinal, functioning as relics of the transient encounters between his gaze and objects of desire and repulsion. Formally distinguished by high contrast, casual composition and grainy texture, Moriyama developed a photographic aesthetic that helped establish a vision for how the world perceived Japan in the 1960s and onwards. There is, however, something universal at play in his photographs, in that they present the schisms and pluralisms which emerge when advanced capitalism interacts with obedience to tradition.